“Bet we’re the first Māori to come here,” I whispered to Toby when we landed in Inari, a tiny village 300 kilometres inside the Arctic Circle. It was 12 years ago, and we were guests of Skábmagovat, the northernmost film festival in the world. As temperatures slipped to 10-below and an absent-minded sun wandered off from the violet, velvet sky, I figured few in the remote settlement would have heard of New Zealand, let alone Māori. Cue Nice Lady, arriving to pick us up. “You know Timoti Karetu?” she chirped merrily. She looked at me like I wasn’t the sharpest knife in the drawer. It turns out the Sámi inhabitants of Inari are using the Māori language-nest model to preserve a language spoken by only 370 people in the world. Newsflash to right-wingers: Māori are globally hot, even if we are locally not. While racists here defend assimilation as a democratic right, the real headline is that Māori have long been considered pioneers by other indigenous nations. Anything innovative that Māori visionaries fought for, that raised the hackles of “tangata turituri warawara” (the blah-blah-blah brigade), that’s slammed as “separatist” or constituting “preferential treatment” — it’s inspiring other first nations peoples. Like the Ainu of Japan, who visited New Zealand recently. And Sámi of Northern Europe. In March this year, Jorma Lehtola, the artistic director of Skábmagovat, came to the Māoriland Film Festival in Otaki. He was on a mission. Next year, the Sámi film festival will once again showcase Māori film — and Jorma is hoping that Taika Waititi, Oscar finalist and darling of the indigenous filmmaking set, will attend. Skábmagovat is a far cry from Hollywood. There’s something truly surreal about sitting on reindeer skins in an amphitheatre built from snow, knocking back hot chocolate laced with rum (although it may well have been the other way around), checking out locals wrapped head-to-toe in seal fur, and watching footage of New Zealand’s tropical native bush projected onto a giant snow screen. When the festival is on, Lake Inari is frozen solid. Jorma arranged for Toby and me to take a sleigh ride across it. Our guide looked like an extra from The Revenant, he was wrapped up in so many clothes. Mountain Man patted me down like an LA cop, grunted, threw a thick woollen jersey over the top of my heavily padded jumpsuit and tucked me into the sleigh under blankets and fur skins. So far, so good. A Norwegian film crew jumped on board, thinking it might be a laugh to film Polynesians in the Arctic. Off we went. Real fast. The wind chill took temperatures to around 20-below. As the Ski-doo snowmobile cut through the ice, clods of snow flew towards us. It was noisy. Freezing. My fingers, trussed into two sets of gloves, were stiffening up. The Norwegian director noticed. “Gloves are useless, you need to move your fingers,” she yelled. “Take my seal fur mittens.” I did, with no thought for any endangered species. Recently, the Supreme Administrative Court of Finland overruled the Sámi Parliament by upholding the appeals of 92 applicants to be recognised as Sámi. Traditionally, Sámi were semi-nomadic. Many followed the reindeer herds as they moved between winter and summer pastures across northern Europe. But over the last two centuries, borders went up and through the Sámi homelands. Sámi nations were split into Swedish, Norwegian, Finnish or Russian. And while the Finns can’t explain how they ended up with 90 percent of the land (there’s no treaty), successive governments insist that Sámi must prove ownership to any remaining land. The only exception is an iwi known as Skolt Sámi. 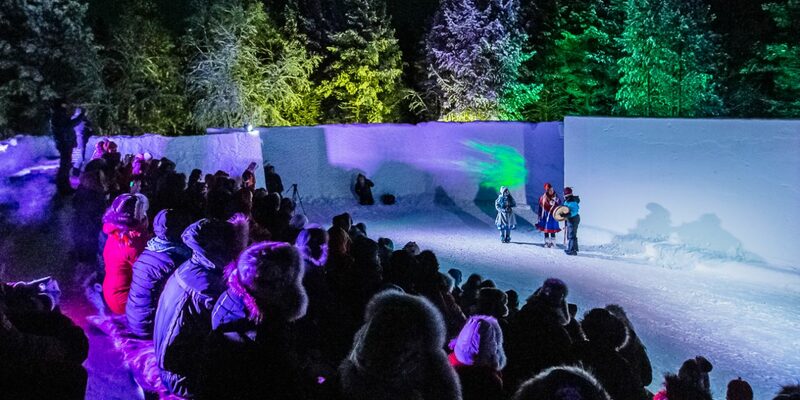 They possess a nine-metre scroll that dates back to 1601, in which Russian emperors confirm Sámi rights to their own pasture and fishing territories. In 1986, Sámi declared: “We Sámi are one people, and the frontiers of states shall not break the unity of our people.” The Sámi flag is raised every year on February 6 — their national day. We have that in common, too. Jorma was the first person in Helsinki to display it outside his apartment. He dubbed our home the “Sámi embassy” because of the Sámi flag in our driveway. Although Finland officially recognised Sámi as a people in 1995, it’s been heavily criticised by the United Nations and the European Union for not adopting the International Convention on Indigenous and Tribal Peoples (or ILO 169). Something it shares with New Zealand. Ratification would give Sámi a say about aggressive, unsustainable mining and logging projects on their traditional lands. It’s not just their land that’s under threat. The Sámi worldview is based on shamanism. Yoik is a unique cultural and musical expression that represents an emotional bond between people, animals and nature. It was banned by the church and education system for 200 years. My friend Mari Boine — an extraordinary singer whose music is inspired by yoik —is a Norwegian Sámi. She broke new ground by stamping Sámi pride into contemporary music and taking it onto famous stages around the world. When she played little Inari recently, the whole town turned out. I get that. Music is my passport into other worlds, strange yet familiar. It’s been less and less about a looking through the window and more about discovering a mirror into our own. From the Amis (Taiwan) and Bundjalung (Australia) to the Lakhota (US) and clans of Scotland, Māori are part of a dynamic and powerful indigenous matrix that shares common values and beliefs. It’s within this beautiful parallel universe that an abundance of bold ideas, wisdom and vision are constantly exchanged and refined. It’s inside this space that mankind will find answers to save the planet. Next year, we’ll be back in Inari for that Māori film festival. When we walk the red carpet, we’ll be wearing Ski-doo boots, not high heels. There will be no plunging necklines beneath the theatre bearing the Māori and Sámi independence flags. And, as we scour the sky for the dancing souls that are the Northern Lights, we will hold hands with our northernmost cousins. And celebrate that, against all odds and despite everything, we are still here. Ani Black has opened a can of worms. Let it stay open. 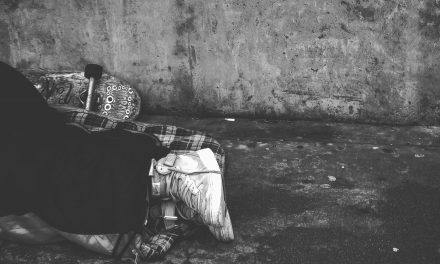 Māmari Stephens: What about a welfare system that doesn’t judge need? Love reading your write ups, we spent time in Rapid city Sth Dakota USA there we met the Sami people for the first time and shared many stories with these awesome people (blonde hair blue eyes) if not for their traditional costumes one would easily mistaken them for European/ German, and yes we have so much in common. Thank you for the beautiful story and the fantastic writing. Loved it! 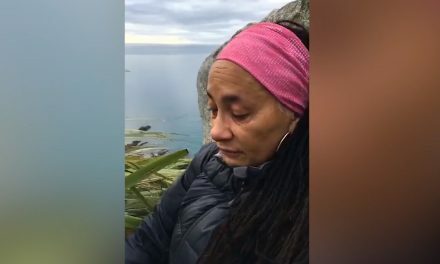 Atahua Moana, mihi atu kia koe Te Rangatira. Beautiful Moana, lovely to hear your life long commitment to go the Kaupapa. good article well written loved the indigenous peoples around the world who identify with innovative Maori Visionaries enjoyable what a wonderful mind you have and sharing your beautiful thoughts with the world. Kiaora Moana thank you for sharing can’t wait for your next report. Mo what a beautiful story … I am working with indigenous in the Middle East and also see and experience the synergy with Maori. Awesome! Kia ora Moana..so lovely to hear your story from Samiland.Husband is Norsk with a Hint of Sami.!!. luckily i can speak Norwegian so able to connect..i was also asked do you know Moana Jackson? was back in Norway lastyear but missed Katchafires concert further north, back to northern Norway next year so will try to connect with your concert in Finland.. 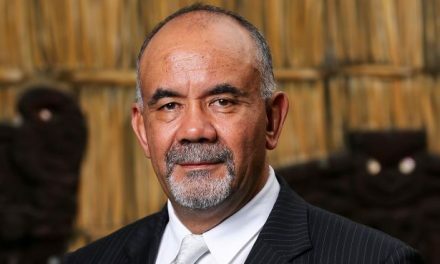 Funny, Marion – because I was also asked while there if I knew Moana Sinclair (I think its due to all the combined UN work indigenous lawyers have been co-ordinating on) and saw George Nukus face on the cover of a magazine in the village shop. Yes, we played that festival in Norway twice. The first time was in 2011, when that same weekend, the terrible massacred happened in Oslo so the planned festival closed down and people from the district were invited to join everyone on site and any bands who wished to just sing a few songs. We did, very very emotional performance. We returned in 2013 to do complete our full concert, which was another emotional moment meeting our lovely hosts again and one of the survivors who had been shot a number of times and whose story I will never forget. Very lovely people and a gorgeous landscape up there in the north. I hope to attend the festival in Finland end of January and perform a couple of songs. Beautiful korero like the Sami flag, thankyou. Our Ropu met theirs at the First World Indigenous Games in Palmas last year and we taught them ki-o-rahi, so look for our magic circles in Inari next time! Oooh, I’d better learn that myself before I go then, Harko. Amazing the number of connections between Sami and Maori. Education. Film. Media. Law. Sports. Music. Politics. Beautiful and True! We Indigenous people have deep connections, thank you for sharing this story. I hope to see you in Inari next year and watch our Ancestors dance in the sky. Now lets get you to Northern Canada and -50C. You have got to be kidding me – no way. Love the Canadian relations dearly but not that much!!! Happily we only had -40 last time in Inari, but we’re hoping better. The Coolest Theatre In The World – that’s our slogan and goal! Awe inspiring, a beautiful story, and it’s true. Keep leading the way forward Moana, we need more inspirational leaders like you for the future of our tamariki.